Welcome to www.stellamccartney.com . These terms and conditions (the "General Terms and Conditions of Use") govern your use of, access to, and purchase of products from the United States section of www.stellamccartney.com (the "US Site"). By using the US Site, you agree to comply with and be bound by these General Terms and Conditions of Use. If you do not agree to these General Terms and Conditions of Use, please do not use the US Site. www.stellamccartney.com is the property of Stella McCartney, with registered offices in 3 Olaf Street, London W11 4BE, UK - Company Number: 04169969 ("Stella McCartney") and is operated under license by YOOX Corporation, a Delaware corporation having an address at 148 Lafayette Street, 10th Floor, New York, NY, 10013 (the "Provider"). We welcome your comments and feedback regarding the US Site, our products and our services. We do not, however, accept confidential or proprietary information. Accordingly, all comments, feedback, reviews, ideas, suggestions, materials, images, information and other submissions (collectively, the "Submissions") disclosed, submitted or offered to the Provider via the US Site, or otherwise, are not confidential. You represent and warrant that any Submissions that you submit to the Provider are made in compliance with applicable laws, do not violate any right of any third party, including privacy and intellectual property rights. By disclosing, submitting or offering any Submissions to the Provider, you grant the Provider and Stella McCartney a nonexclusive, royalty-free, perpetual, irrevocable, and fully sublicensable right to use, reproduce, modify, adapt, publish, translate, create derivative work from, distribute, display such Material throughout the world in any media. You are and shall remain solely responsible for any Submissions you disclose, submit or offer to the Provider or Stella McCartney. All content included on www.stellamccartney.com US Site, such as works, images, pictures, dialogues, music, sounds, videos, documents, drawings, figures, logos, menus, web pages, graphics, colors, schemes, tools, fonts, designs, diagrams, layouts, methods, processes, functions and software (collectively, the "Content"), is the property of Stella McCartney or its content suppliers and is protected by national and international copyright and other intellectual property laws. You may not reproduce, publish, distribute, display, modify, create derivative work from, or exploit in any way, in whole or in part, the Content without the prior express written consent of Stella McCartney, or its content suppliers, as the case may be. Stella McCartney and its content suppliers shall have the exclusive right to authorize or prohibit in their sole discretion any reproduction, publication, distribution, display, modification, creation of derivative work from, or exploitation in any way of, in whole or in part, the Content. Stella McCartney and its content suppliers shall have the right, at any time, to claim the authorship of any Content posted on the US Site and to object to any use, distortion or other modification of such Content. Any reproduction, publication, distribution, display, modification, creation of derivative work from, or exploitation in any way of, the Content expressly authorized in writing by Stella McCartney or its content suppliers shall be carried out by you for lawful purposes only and in compliance with all applicable laws. 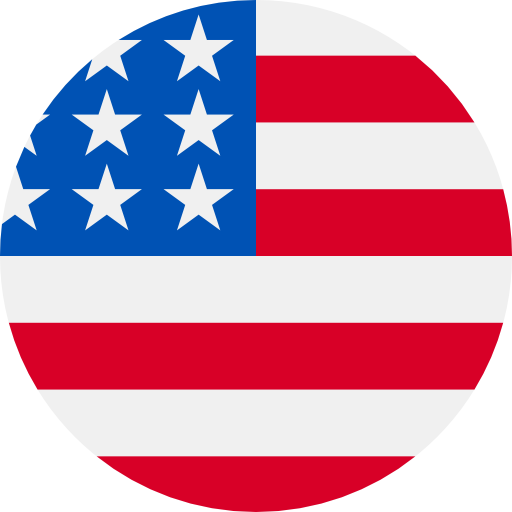 The viewing, printing or downloading of any Content from the US Site grants you only a limited, nonexclusive and nontransferable license for use solely by you for your own personal use and not for republication, distribution, assignment, sublicense, sale, preparation of derivative works or other use. No part of any Content may be reproduced in any form or incorporated into any information system, electronic or mechanical, other than for your personal use (but not for resale or redistribution). Any unauthorized use of the US Site and the Content immediately terminates the license granted by the Provider. You will be solely responsible for all damages and other harm resulting from your use of the US Site and the Content. Stella McCartney and the Provider shall not be deemed liable for any use of the US Site and the Content made by you in violation of any applicable laws and regulations and these General Terms and Conditions of Use. We respect the intellectual property of others. If you believe that your work has been copied in a way that constitutes copyright infringement, please contact our Customer Care and select 'Privacy' as the argument in the appropriate form. YOU AGREE THAT YOUR USE OF ANY THIRD PARTY WEBSITE IS AT YOUR SOLE RISK AND WITHOUT WARRANTIES OF ANY KIND BY THE PROVIDER, EXPRESSED, IMPLIED OR OTHERWISE, INCLUDING, BUT NOT LIMITED TO, WARRANTIES OF TITLE, FITNESS FOR A PARTICULAR PURPOSE, MERCHANTABILITY OR NONINFRINGEMENT. UNDER NO CIRCUMSTANCES ARE THE PROVIDER AND/OR Stella McCartney LIABLE FOR DAMAGES ARISING FROM ANY TRANSACTION BETWEEN YOU AND ANY THIRD PARTY WEBSITE OR FOR ANY INFORMATION APPEARING ON THIRD PARTY WEBSITES.